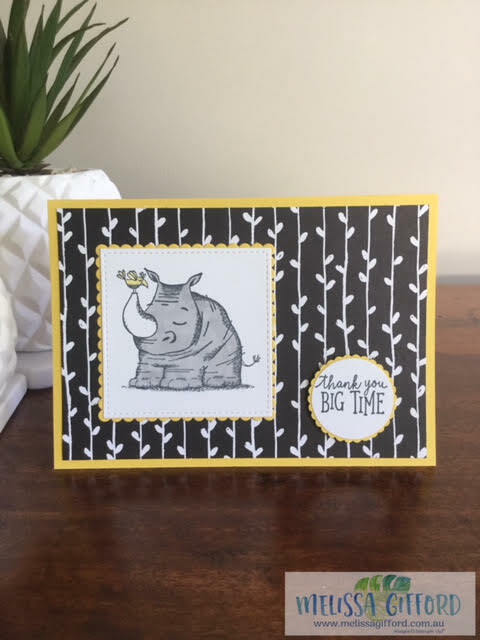 As I mentioned last week when I showed you the new Stampin' Up! 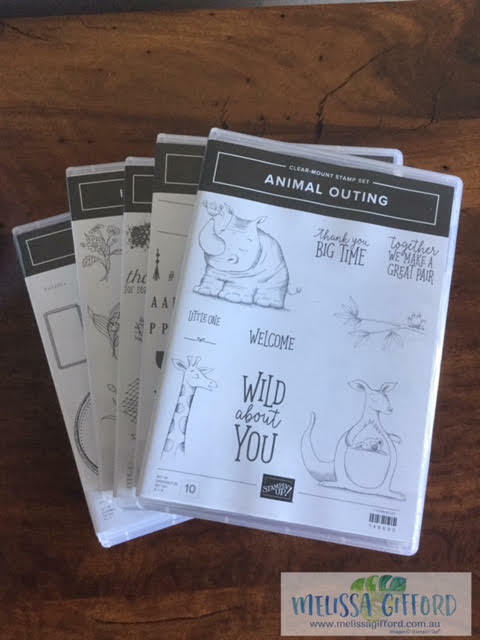 stamp set packaging this is one of the new stamp ses called Animal Outing. A fun set of animals and some cute words. Don't you just love that koala in the kangaroo's pouch? I can see that being great for baby cards with the 'welcome' and the 'little one' stamps. This stamp set was one that I received at the Onstage Event back in April. I was also thrilled to see that is has a coordinating framelit set coming out in the new catalogue. 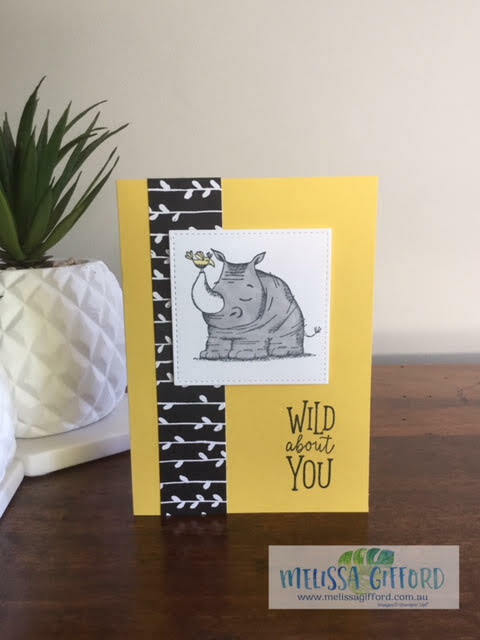 I wanted to do something bright and fun with the rhino so I used daffodil delight for a pop of colour with the contrast of the black and white. I thought the petal passion designer series paper (sadly retiring at the end of the month) went well as this looks like leaves on a vine. The second card is basically the same, I just changed the orientation and used a larger piece of the black and white designer series paper for the background. A quick colour with my blends and they were done! This stamp set will be available to order 1st June 2018 along with the framelit dies, designer series paper and other embellishments. I can't wait to get hold of the framelits I have to admit I am not a big fan of fussy cutting! !